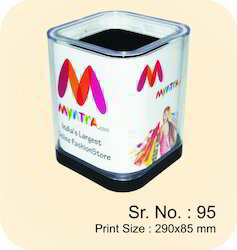 Leading Manufacturer of promotional pen holder, table top paper dispenser, pen stand, metal table top watch, plastic revolving pen stand and table top stationery sets from New Delhi. We are expertise in manufacturing and customizing the Promotional Pen Holder according to customers’ desire and requirements. These kind of pen holders create a space on the mind of the people whom it is being gifted as it is always infront of the eyes. We can avail this in bulk and at an exclusive price and offers variety of option to choose from. Our company is widely appreciated in offering Club Shape Single Paper Dispenser to the clients. This product is made by a team of skilled professionals using quality approved material, following the norms and guidelines laid down by the industry. Offered range is used in offices, schools, colleges and homes and is acknowledged for characteristics like corrosion resistance, perfect quality, easy to operate, sturdiness, attractive design and toughness. Club Shape Single Paper Dispenser is available in various sizes and capacities to suffice the application requirements of valuable clients. This is one of the basic needs and thus we bring to our customers a compact, spacious Pen Stand which can be used in offices, home or even in private studies. Our focus is to offer our customer a product that is not only durable but also of high quality. 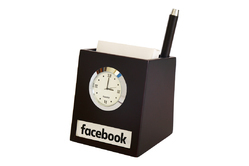 These pen stands can also be used for gift purpose or persona use. We are of Table Top Watch in Metal. Ashoka Wooden Pen stan made up of wood. 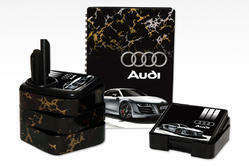 Finishing with wood polish Spray and its customized as per requirement. Plastic Pen stan made up of plastic Its comes colorful & different designs and customized as oper requirement. Our firm is manufacturing and supplying a wide assortment of Table Set. The entire range of Promotional Table Set is available in various sizes, shapes and designs to meet diverse requirement of our valued clientele. These items are made up of high quality materials, which are procured from qualified and trustworthy vendors of the market. Our goods are offered at most affordable rates. 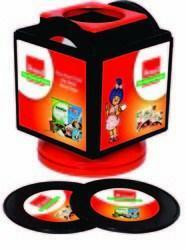 Our company has achieved laurels in offering Multipurpose Memo Holder Kit to the clients. 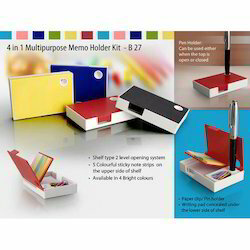 Multipurpose Memo Holder Kit is made in compliance with industrial standards using sophisticated technology and tested material. This product is available in different designs and styles extensively used for placing the memo in an organized manner. Offered range is placed on working desk in offices and study rooms. This product is well acclaimed in the market for the below mentioned attributes such as Lightweight, breakage resistant and compact size. 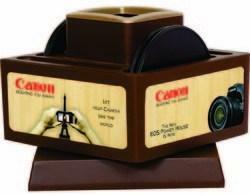 Leveraging upon our experienced team of professionals, we are able to offer a gamut of Revolving Pen Stand. 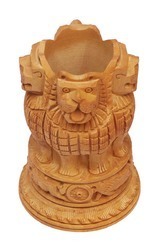 The offered pen stand is designed by our experts using only quality assured material as per the trends of market. The offered pen stand is very spacious and is divided into sections for pens & note pads. 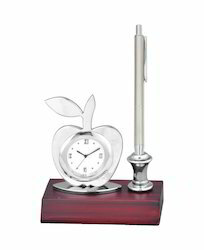 In addition, offered pen stand is checked by quality experts in order to ensure its defect free range.